If too much stress is getting the best of you, this radio interview (and article below) with Susan are for you. She tells us why and how unmanaged stress ages us quickly and causes many chronic health conditions, including heart disease, obesity, fatigue, aches and pains, inflammation, even low self-esteem, and more. Susan covers her favorite, surefire stress-busters (a few more than are listed below) that will lead you from a path of daily strain, struggle, and difficulty to a renewed life of grace, celebration, and balanced living...at any age. She will motivate you to create an empowered, inspired, and successful life. To listen now, please click HERE. During a series of recent seminar series I gave worldwide on RENEW YOUR LIFE: Getting on the Fast-Track to High-Level Vitality, Prosperity, Success & Happiness, I received loads of positive feedback from my website. Many people asked me to provide my favorite, specific stress busters in another blog, so here's some extra information that might provide support for those of you stressed to the hilt. No matter the time of year, you can make today a new beginning and a fresh start — a time to make choices about improving your health. One of the best ways to bring wellness into your world is to decrease the level of stress you experience on a daily basis. Why is reducing stress so important? Believe it or not, the American Association of Family Physicians reports that two-thirds of all doctor visits are due to stress-related ailments. It’s also believed that 80 to 90 percent of all diseases are stress-related. And if you’re female, stress may be even more damaging to your health. Study after study has found that women suffer from both stress and depression more often than men. 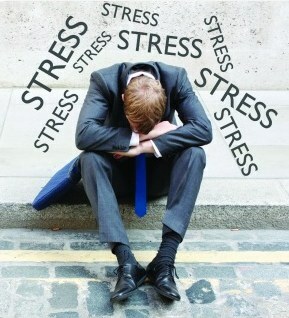 Although most of us think of deadlines and commitments when we think of stress, stress has many other causes. It can be triggered by emotions — anger, fear, worry, grief, depression, or even guilt. And stress can actually lead to high blood pressure, weight gain, heart problems, sleep disorders, fatigue, muscle and joint pain, bone loss, inflammation, depression, insulin resistance, acidosis, headaches and migraines, and other illnesses and chronic health conditions. If you want to avoid these problems, follow my seven steps to relaxation and bring health and quantum wellness to your life and world. That’s right -- exercise is one of the best ways to reduce stress in your life: it relaxes muscles and eases tension. Want proof? A study at the University of Southern California shows that patients who took a vigorous walk and raised their heart rates to more than 100 beats per minute reduced the tension in their bodies by 20 percent. This effect was greater than a second group of patients who were given a tranquilizer! So go for a walk, hit the gym and do some weight-bearing exercises, or give yoga a try. Studies have shown that those who practice yoga have lower stress hormones than those who don’t. For detailed information on incorporating exercise into a busy lifestyle, refer to books Healthy, Happy & Radiant...at Any Age, The Joy Factor, Walking on Air, and my special digital seminar series collection package of 14 titles — RENEW YOUR LIFE. 2. Meditate & Breathe Deeply (really, it’s simple). Don’t worry — you don’t have to be a Buddhist monk to know how to meditate. Here’s how to do it: find a special, quiet space in your home. Spend at least 15 minutes here first thing in the morning and before going to bed. Sit and close your eyes and focus on your breathing. Inhale and exhale slowly and deeply, focusing on the sound and rhythm of your breathing. Mentally visualize peace and calmness. Your day will start and end on a stress-free note. Refer to my audio books Wired to Meditate and Choose to Live Peacefully for detailed information on all of the ABCs on why, when, where, and how to meditate. 3. Eat a stress-relieving diet. Can what you eat really help relieve stress? You bet. Take stress off your digestive system by eating at least seven servings of fresh fruits and vegetables, which are high in water content and, therefore, easily digestible. Especially beneficial are antioxidant-rich leafy greens, such as romaine lettuce, spinach, Swiss chard, kale, and collards. Also, choose an array of colors when it comes to your fruits and vegetables to benefit from an array of antioxidants. And don’t forget to stay hydrated and cleanse your system by drinking half of your weight in ounces of filtered water daily (see below). For detailed information on the best foods to eat to look younger, shed extra pounds, alleviate depression, and boost immunity and energy, please refer to my Blissful Living set and my books Living on the Lighter Side and Recipes for Health Bliss. Click HERE to find out how to receive a bonus GIFT — my entire series of 7 Natural Remedy Booklet/CD combos. All the books come with an autographed card from yours truly. The titles include Conquer Colds & Allergies, Natural Stress Solutions, Living Active & Pain-Free, Culinary Herbs and more. 4. Keep your body hydrated. Our bodies are 70% water. Our cells are 70% water and our planet Earth is 70% water. That’s no coincidence. Each day we need to drink at least 8 glasses of water—even more (10-12) when it’s hot, during exercise, or in a dry climate or atmosphere, like an airplane’s. At a cellular level, dehydration makes us as weak as a neglected hydrangea. When you don't keep your face moisturized and hydrated with ample water and tender loving care, wrinkles appear not unlike how plums turn to prunes or grapes turn to raisins. If you think that drinking any kind of liquid will count towards your water tally, think again. You can count diluted fruit juice, non-caffeinated herbal teas, and fresh vegetable juice. However, there are some liquids and beverages that actually cause dehydration and these include sodas and colas, alcoholic beverages, coffee, and caffeinated teas. Don't underestimate the importance of drinking ample water every day. Proper fluid balance is essential to release waste and toxins from the body, to achieve a healthy glow, to beautify our skin, to support kidney, liver, and brain function, and to create vibrant health. Drinking a large glass of water on an empty stomach about 15-20 minutes before a meal or snack is also an inexpensive and effective appetite suppressant. Next time you think you are hungry, enjoy a glass of water first and wait 10 minutes. Chances are you were probably thirsty and not really hungry. For information on my favorite water purification system that makes health-enhancing alkaline water — so beneficial for the body and all of your 70+ trillion cells, please visit this page about the Ionizer Plus in Favorite Products. I've had an Ionizer Plus for 20 years and wouldn't be without it. I use the water for drinking and all recipes. Click on these links to see how to get a $300 discount on your purchase of this health-enhancing machine. 5. Catch plenty of Zzzs. The is nothing more restorative for your body than getting quality sleep — night after night after night. Lack of sleep undermines your body’s ability to deal with stress. That’s why it’s important to get at least 7-8 hours of rest per night. Here's one way to indicate if you’re getting enough sleep: are you able to wake at a regular time each day without setting an alarm. You’re not getting enough sleep If you need to set one or more alarms just to get out of bed in the morning. Take 400 mg daily of BLUE MAJIK — a powerful antioxidant, which you can get in powder or capsule form. Countless people tell me in my private practice that if they take it about 1-2 hours before bedtime, they sleep more soundly. I have been taking and recommending this product for years. It's an excellent supplement to not only help you get quality sleep, but also boost immunity, reduce inflammation, detoxify and rejuvenate your body, and give you glowing skin. I use the capsules when I'm in a hurry or traveling, but the powder is my favorite -- the most beautiful blue color ever. Just mix it in water and drink it down. And for even more information on how to get quality sleep, refer to my article on this website titled Insomnia Begone. Worried about something? Maybe you’re stressed out about your relationship with a loved one, the monthly bills that are stacking up, your neighbors are too noisy, you can't seem to get quality sleep, you're feeling depressed most of the time, or your son or daughter is suddenly bringing home poor grades from school. Whatever it is, one way to mollify this stress is to make sure your life is filled with laughter. According to researchers, laughter releases endorphins into the body that act as natural stress beaters. In fact, a good belly laugh gives your heart muscles a good workout, improves circulation, fills your lungs with oxygen-rich air, clears your respiratory passages, stimulates alertness hormones, helps relieve pain, and counteracts fear, anger, and depression, all of which are linked to illness and stress. So be sure to schedule time into your busy schedule to be with friends and family who make you smile and laugh, and go to movies or read a book that tickles your funny bone. Just make sure you’re getting plenty of things to giggle about in your life. Want some enjoyable reading to help you laugh your way through life? Refer to my books The Joy Factor and Walking on Air. 7. Be thankful—and reap the health benefits. Each and every day, take a moment and be grateful for all you have in life. Gratitude, after all, is one of the great stress busters. What you think about consistently brings more of the same into your life. So focusing on the positive, even during difficult times, is the best way to reduce and alleviate stress and transform your life. Wish you could cultivate an attitude of gratitude every day? Refer to RENEW YOUR LIFE for loads of information on how to make gratitude your default position in life and create your very best life.